This set was made a "Pay What You Want" title as one of my Patreon goals. Thank you to all of my fans, supporters, and patrons for pushing me to keep on crafting. It is with great pleasure I release this first expansion to my Egyptian tileset. 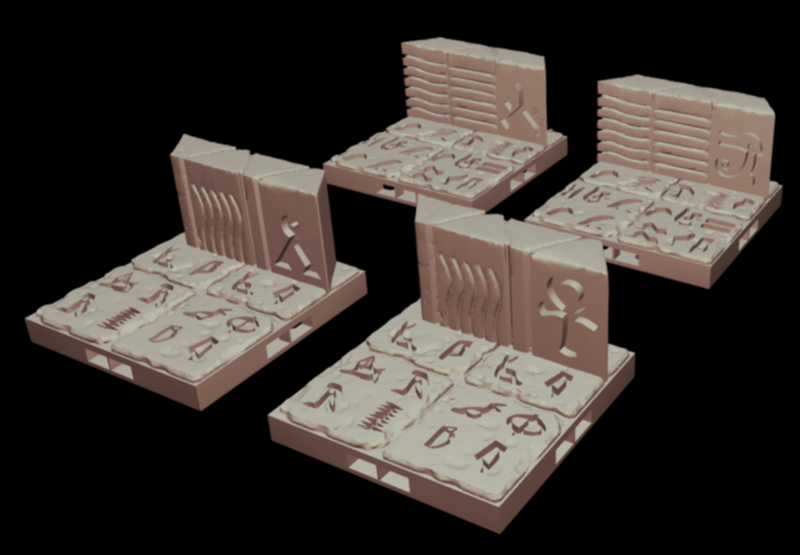 Egyptian 2 is packed with 24 Tiles. 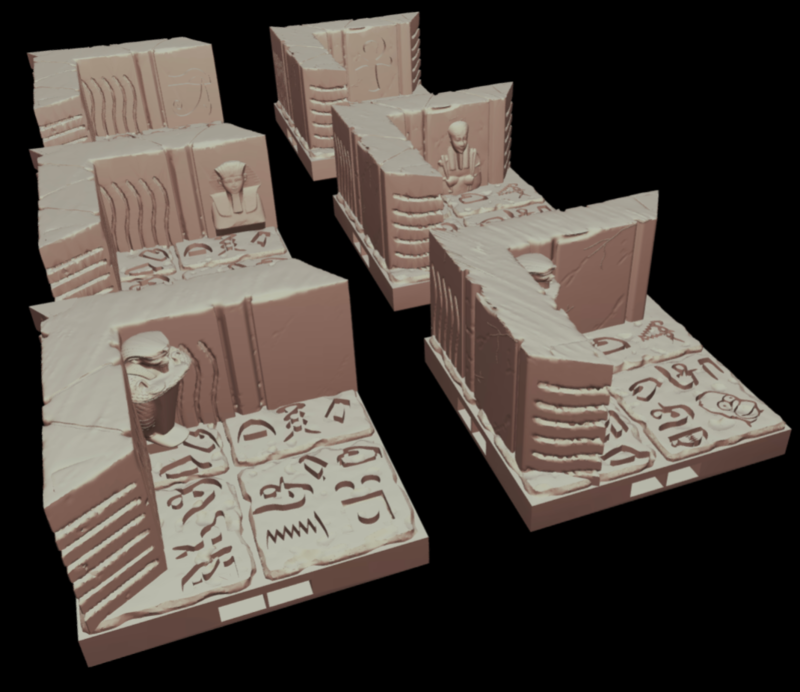 You'll find all 8 Walls, Corners, and Corner Pillar from Egyptian 1 remixed into half height for economical printing. 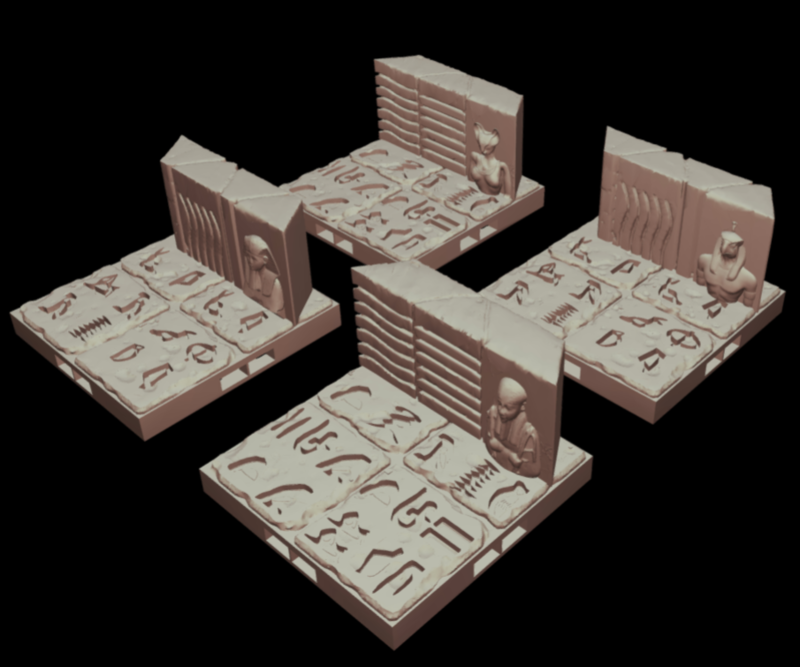 Also included are 14 corner and wall variations with embbedded egyptian symbols and statues. 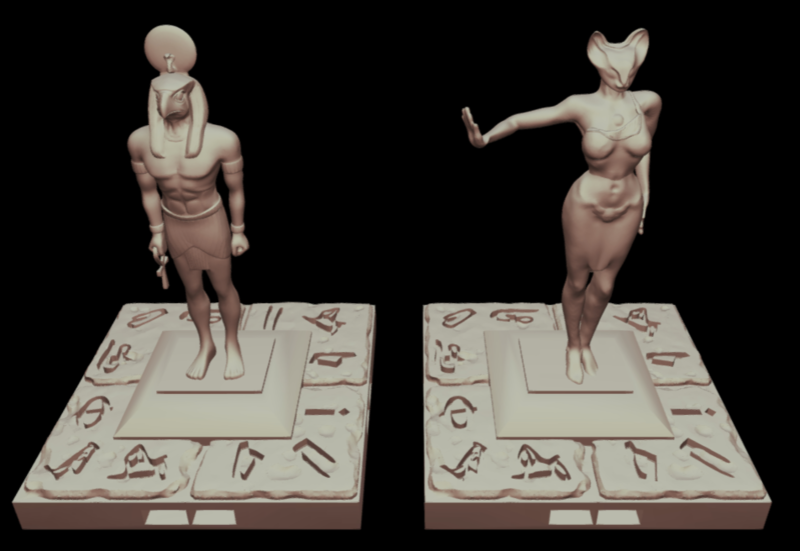 You'll also find two over-sized statue tiles for the God Horus and Goddess Bastet. This set would not have been possible without art and morale assistance from Psid66. My many thanks to him for his efforts. Additional thanks to Thingiverse users FP Creator, Gargi, Glyn, Mixtec, CMore4236, Bugbilly, and sdub76 for textures released under friendly constraints. Can you please zip these files in one archive? Thanks! I have made the change as requested! Please don't hesitate to drop any ideas for what you might like to see in Egyptian 3. 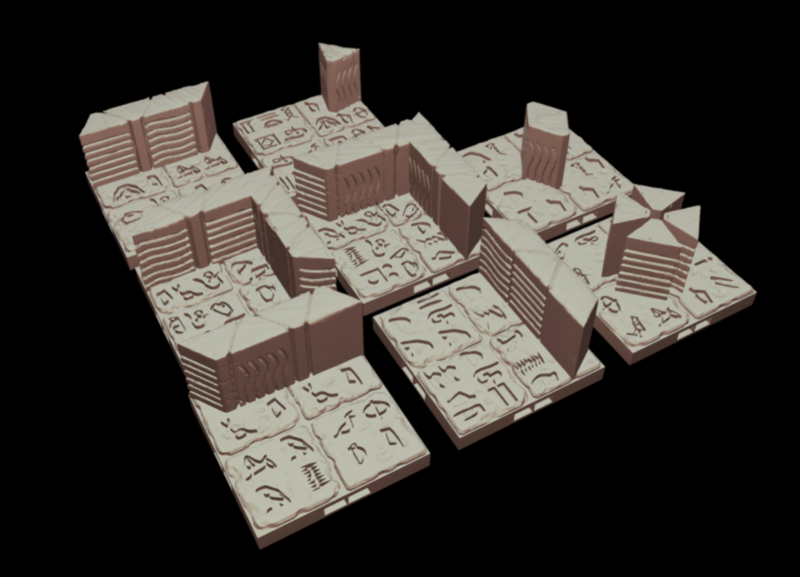 Psid66 and I are hard at work crafting the first tiles of the set.